The Mu-Tron III has a legacy of being one of the best envelope filters ever made. Some of the big names that made this pedal so popular include Stevie Wonder, Bootsy Collins, and Jerry Garcia. The pedal sounds excellent but in it’s original state can be a disaster for a gigging musician. The original has a massive enclosure (5″ x 8.75″) and is very heavy with a steel base. It runs on a special dual polarity power supply which makes it not very pedalboard friendly. From the factory it also has a switch to turn off the power which is just one more thing to wear out or become accidentally (unknowingly) switched off. 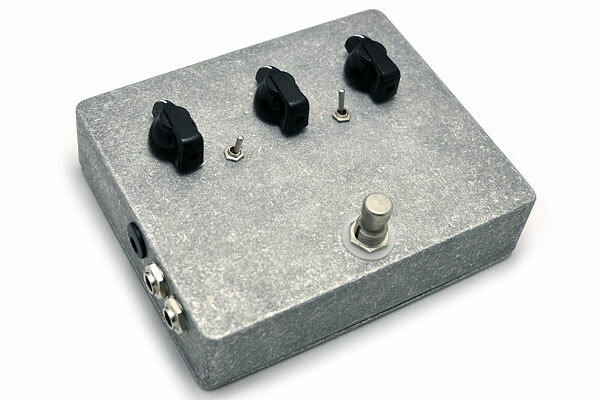 This pedal functions 100% the same as the original but in a smaller package and a standard 9V adapter jack.